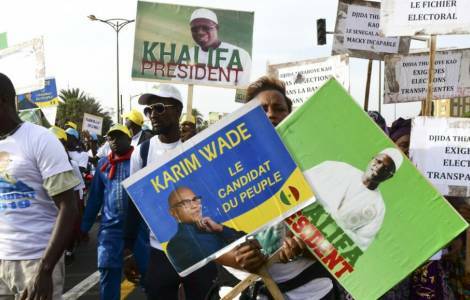 Dakar (Agenzia Fides) - "Faithful to its mission to build peace through justice, the Episcopal Commission for Justice and Peace will send its observers to the presidential elections of February 24, 2019", writes Fr. Alphonse Seck, Executive Secretary of "Justice and Peace" and Executive Secretary of Caritas Senegal, in a note sent to Fides, on the occasion of the conclusion of the training course for election observers, held on 2 and 3 February. The election observation mission will be made up of about a thousand people and will be conducted in collaboration with the Scouts of Senegal, as for the 2012 vote, which included the presidential election on two shifts and that for the renewal of Parliament. Fr. Seck stressed the Church’s concern because "the lack of consensus between the parties on various issues could have consequences on the peaceful conduct of the elections" (see Fides, 24/2/2019). In this context, the priest explains, "we must work to preserve social peace. The surest way to obtain it is to organize transparent elections, from the beginning to the end, that give indisputable results that are accepted by all parties". Future observers of the Catholic Church are recruited from all the dioceses of Senegal and are trained to be ready before the deadline.